Naomi and I are pleased to announce an upcoming publication: Kukai no Hitobito. 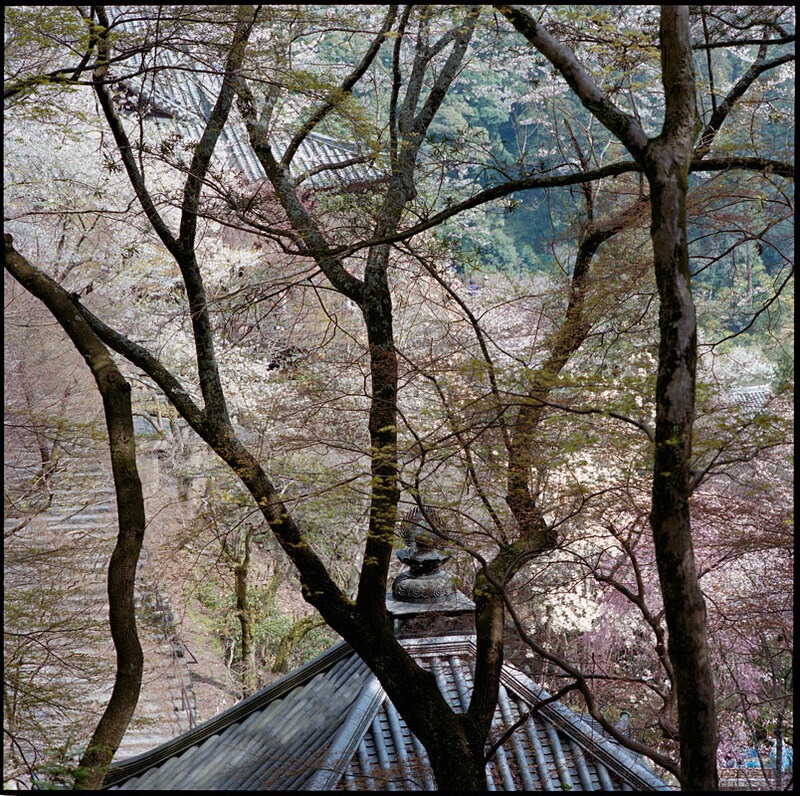 This is Naomi’s memoir of her experience as a pilgrim to the Eighty-Eight Sacred Places of Shikoku Pilgrimage in Japan. 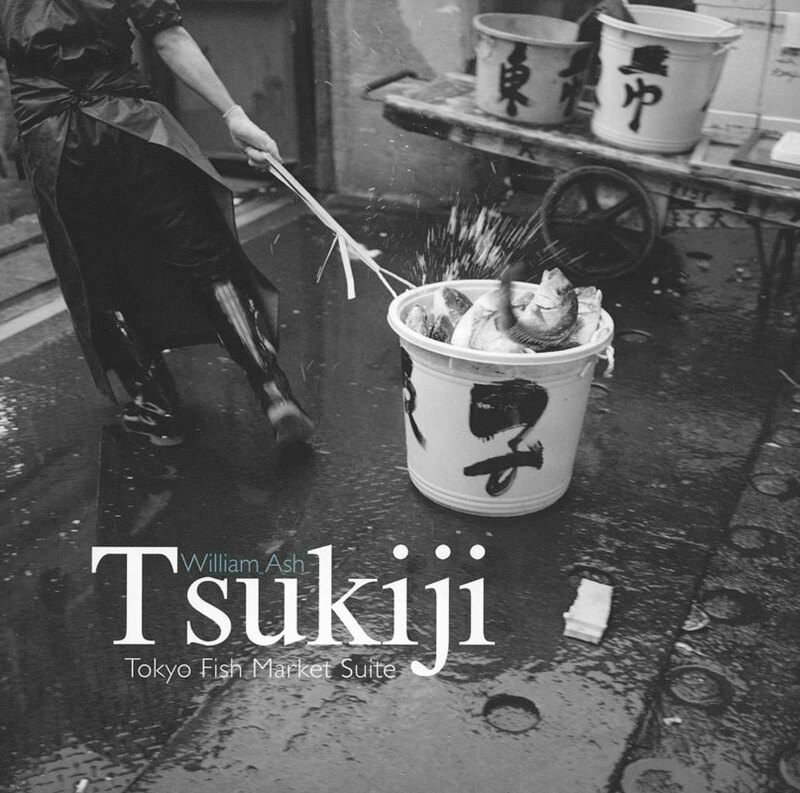 The text is in Japanese and will be available to purchase in October. New years in Japan is a rich event. Millions of Japanese visit shrines and temples. 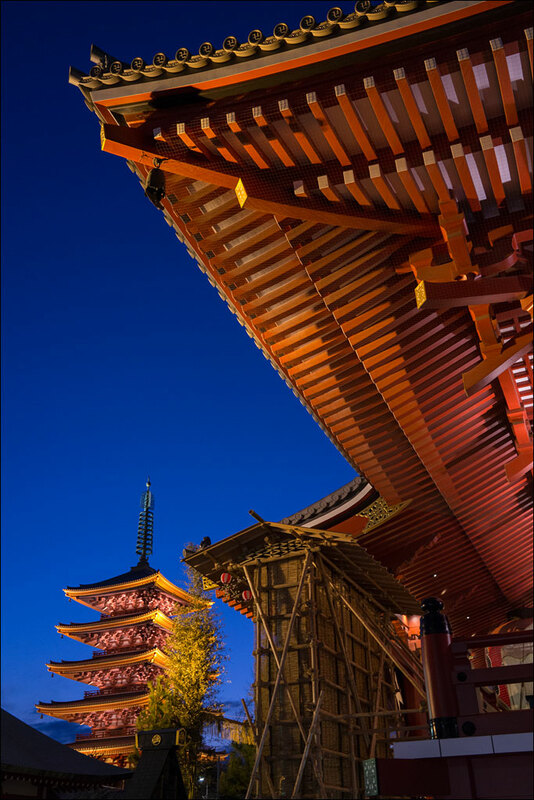 One of the largest temples in Tokyo and one of the busiest is Senso-ji in Asakusa. This temple is famous for its gate. What it is little known for is one of the shortest rituals of the new year celebration, moja-okuri. Click on the image for a larger view. 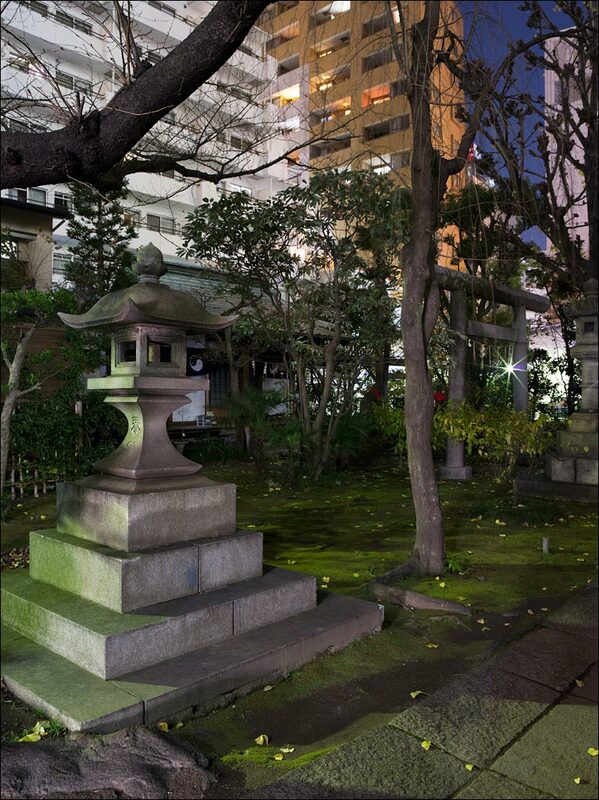 Oiwa Inari Tamia Shrine is located between Tokyo station and the Sumida river. This small shrine is connected to one of the most popular ghost stories in Japan, Yotsuya Kaidan, a 19th century Kabuki play. The story’s main character is a woman named Oiwa. Actors visit this shrine to pay respect to her spirit before performing her role. Oiwa is betrayed by a husband that murdered her father. She is horribly disfigured by a poisoned face cream given to her by Oume, a rival for her husband Iemon. Iemon, repulsed by Oiwa’s appearance, sends an accomplice to assault her to give him grounds for divorce. His partner cannot go through with the deed and reveals the plan to Oiwa. Showing Oiwa her disfigured image in a mirror, she is incensed. In her rage, she fatally injures herself with a sword. She dies cursing her husband, becoming an onryô, a vengeful spirit. By the end of the story, her spirit is revenged. A bloody tale, but a popular one. The image is of Binzuru on the island of Miyajima in western Japan. I have written about the legend of this charming figure before. This type of scarf is popular with school girls and a kind offering this time of year. Click on the image for a larger view. Pilgrims flock to the island of Shikoku in Japan. Through the centuries, the fundamental practice of these pilgrims has not changed: they walk, they pray. To complete the entire route, a little over 1,200km or 750 miles, takes most travelers about fifty days. Some have claimed do this in thirty—a formidable feat. The path is mostly on roads. It hugs the coast and crosses mountains. One hundred years ago, the average pilgrim is said to have spent about one hundred days to complete the pilgrimage. Roads, general health, and modern gear are mostly responsible in changing that. I am grateful of not having to wear the traditional straw sandals and cotton robes, which must have made this journey even harder. 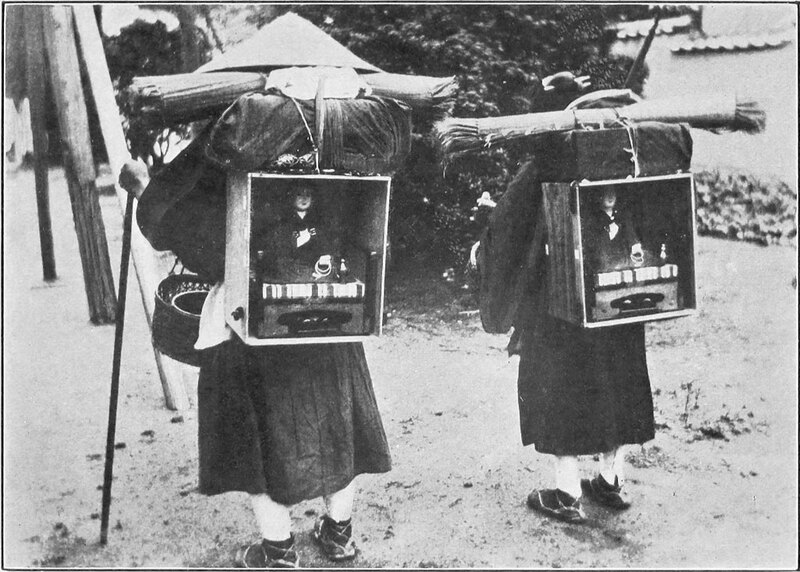 This pair of pilgrims from the early 20th century are described as monks, but wrongly cited as carrying statues of the Buddha—the image on their backs is of Kobo Daishi. The photograph is from the book By Nippon’s Lotus Ponds; Pen Pictures of Real Japan by Matthias Klein and published in 1914. Click on the images for a larger view. 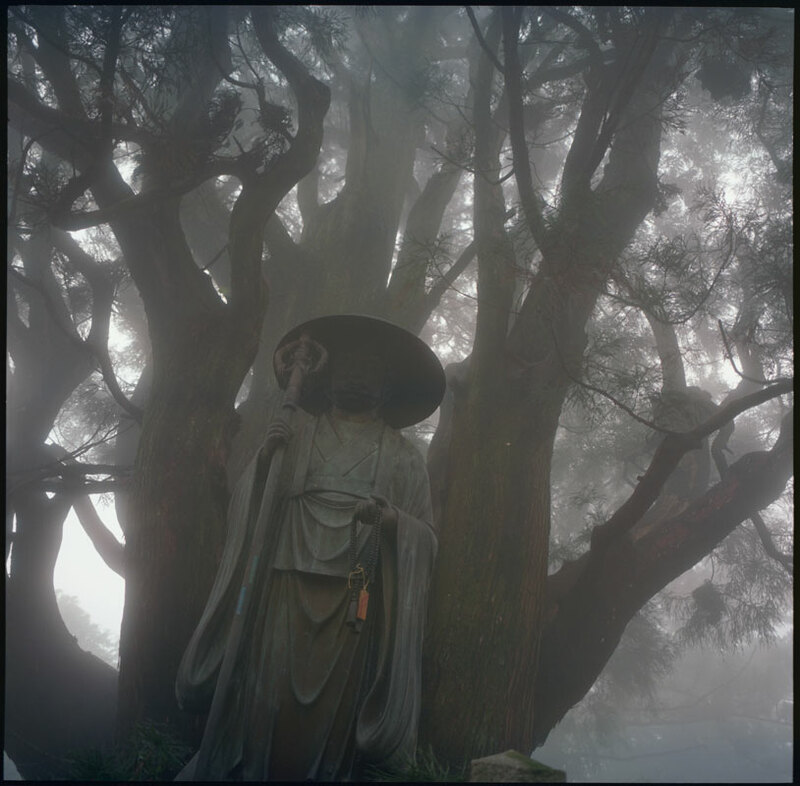 The trail between temples 11 and 12 was enveloped in fog the day we travelled it. The mountain path followed a forested ridge. Then, strangely, the dirt trail ended in a flight of stone steps. 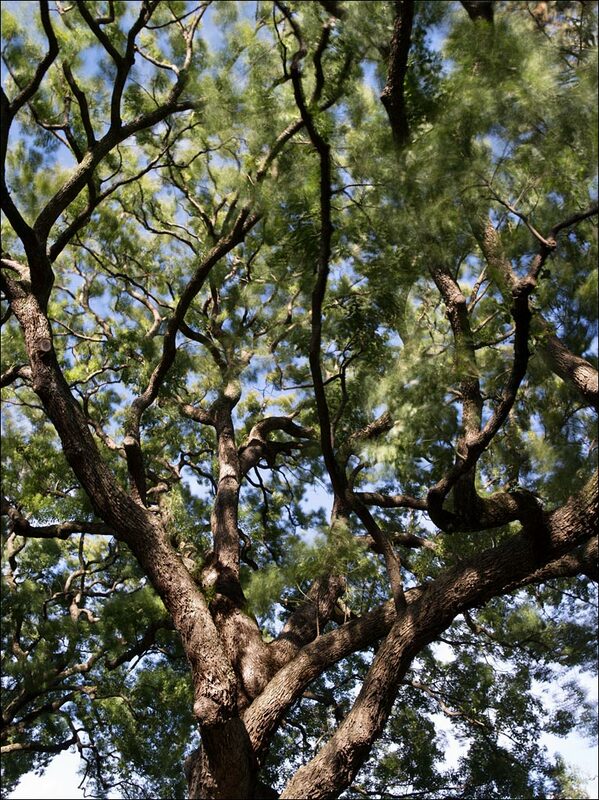 As we climbed, a figure materialized from the trees. We had reached Jyouren hermitage, a bangai, an unnumbered temple, one of over a hundred such places on the 88 Sacred Places of Shikoku Pilgrimage. The statue is of Shugyo Daishi. 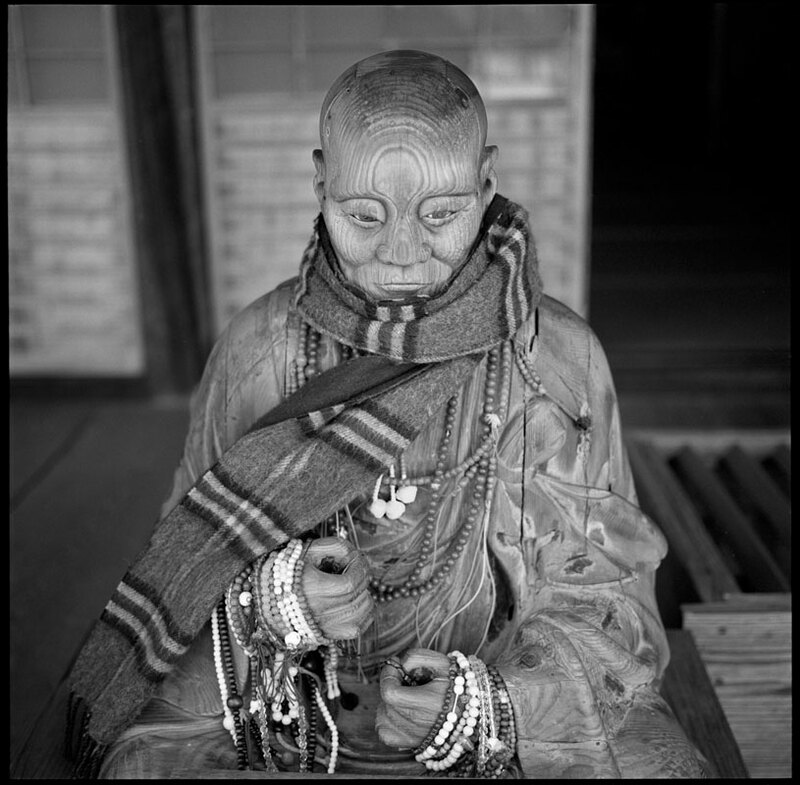 This is not the image of Kobo Daishi, the saint pilgrims follow and the one that attained enlightenment, but the man that was seeking that enlightenment. The tree behind the statue was said to have been planted by Kobo Daishi when, in a dream, he had a vision of the Buddha Dainishi-nyorai. Click on the image for a larger view. 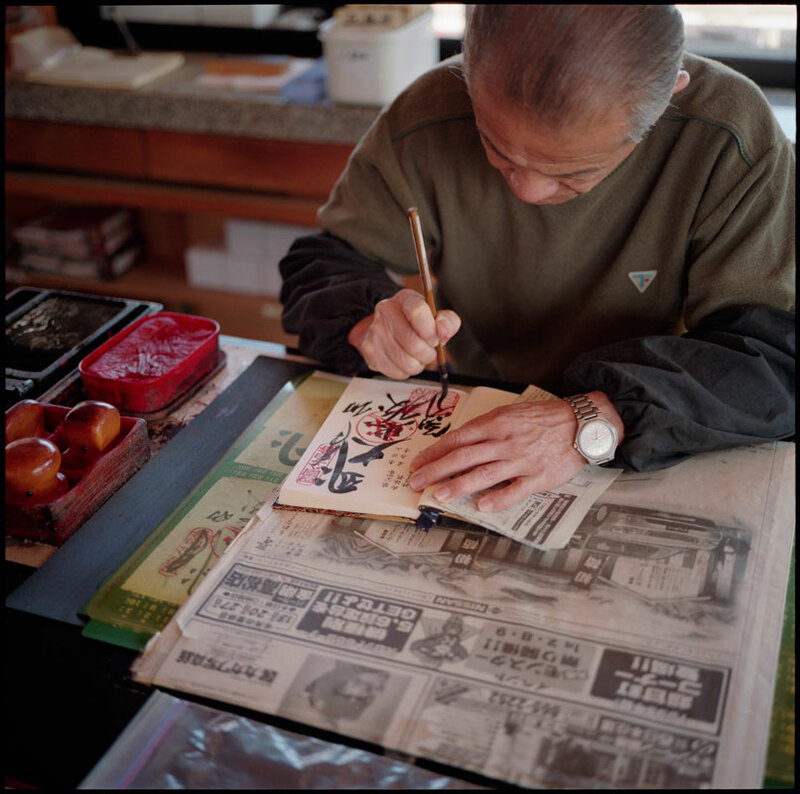 The pilgrim to the Eighty-eight Sacred Places of Shikoku Pilgrimage carries a small book, nokyocho, in which the seal of each of the temples is inscribed, in this case, temple 84. It is one of the most important records of the journey and is treasured as a sacred object. If the pilgrim undertakes another pilgrimage, the same book is used with a new seal being inscribed over the previous ones. Pilgrims that have completed the path multiple times have pages covered red and black from the number of inscriptions. Click on the image for a larger view. The Futon Daiko festival at Mozu Hachiman Shrine in Sakai, Japan is a lunar festival, taking place in late September or early October on the weekend closest to the full moon. Nine town participate in this event. These festivals are a celebration of community. A hundred or more people are need to carry these floats and far more in the community are needed to support the event. The bonds in these communities are strong and the festival maintains and strengthens them. Click on the image for a larger view.